Dr. Avorn is Professor of Medicine at Harvard Medical School and Chief Emeritus of the Division of Pharmacoepidemiology and Pharmacoeconomics. A general internist and drug epidemiologist, he pioneered the concept of academic detailing and is recognized internationally as a leading expert on this topic and on optimal medication use. The division he created includes faculty with backgrounds in internal medicine and its subspecialties, geriatrics, epidemiology, health services research and policy, biostatistics, and computer science. 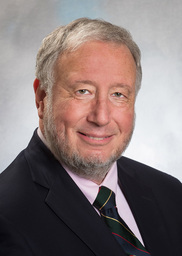 His major areas of research include: the scientific, policy, and social factors that shape physicians’ drug choices; the identification and prevention of adverse drug effects; medication compliance by patients; programs to improve the appropriateness of prescribing and drug taking; and pharmaceutical cost-effectiveness analysis. Dr. Avorn completed his undergraduate training at Columbia University in 1969, received the M.D. from Harvard Medical School in 1974, and completed a residency in internal medicine at the Beth Israel Hospital in Boston. He has served as president of the International Society for Pharmaco-Epidemiology and was a member of the Institute of Medicine Committee on Standards for Developing Trustworthy Clinical Practice Guidelines. Dr. Avorn is the author or co-author of over 500 papers in the medical literature on medication use and its outcomes, and is one of the most highly-cited researchers working in the area of medicine and the social sciences. His book, Powerful Medicines: The Benefits, Risks, and Costs of Prescription Drugs, was published by Knopf in 2004. Dr. Avorn is the Chief Clinical Consultant for Alosa Health, a non-profit that provides academic detailing services. He receives no payment for any of his academic detailing-related work.